Why? Because Jesus was a human being, as you are. Mistakes are mistakes. A mistake is unintentional and part of our human condition, even biological condition to be more precise. While we never want to excuse sin by calling a sin a mistake; a true mistake cannot be sin. Consider the human body in all its marvel. Despite its extraordinary intricacies, there are what we might call “imperfections”, delayed reactions for instance, or misjudgements. We don’t lift our foot high enough and trip on the sidewalk. We cut that corner too tight and go over the curb. We don’t think about that hot pan and mistakenly touch it. These are consequences of our human condition and they expand far and wide into our everyday dealings. Our brains also have been conditioned based on past experiences. A comment one person makes may be interpreted as neutral to one but as hurtful to another, with no negative intention meant by the speaking party. Is the person sinful because the comment happened to hurt someone, even though it was not their intention? Not according to the Catechism because the error is not contrary to the eternal law or a failure in genuine love for God and neighbour. The person who made the comment may indeed genuinely love her neighbour but it just so happened that the comment’s intention was misinterpreted. Jesus Christ was a human boy who grew into his vocation as Messiah. Saint Ignatius in his Spiritual Exercises asks the retreatant to use his or her imagination to contemplate on what he calls “the hidden life” of Christ, or those years we don’t hear about in the bible: from toddlerhood to age 12. He learned his faith from his parents. His dad taught him how to use his hands to craft woodwork. He had friends, was heartbroken, may have fallen in love, and even fallen and skinned his knee. The boy Jesus’ brain may have misjudged his step or he accidentally walked into an oncoming cart and had to jump out of the way. The outcome could have been a skinned knee. Just a mistake, a consequence of being fully human. Jesus has been through weakness. He was weak because he was human. Full stop. He made mistakes, and fell into human ways like we do. In the garden he asked his Father if there were a chance he didn’t have to go through the pain of suffering (fearing pain). He fell at the weight and pain while carrying his cross (no super strength). At 12 in Jerusalem he didn’t let his parents know he was in temple and so they left with the crowd figuring he’d have come along (Enthralled in the moment? Forgetful?). He just never acted in any way contrary to God’s law or love of God and neighbour. Can we see Jesus in a new light now? Can we see how much we already are like Jesus, weaknesses, mistakes, humanness and all? What if the next time you made a true mistake (one not an offence against God) someone said to you, “That’s okay. 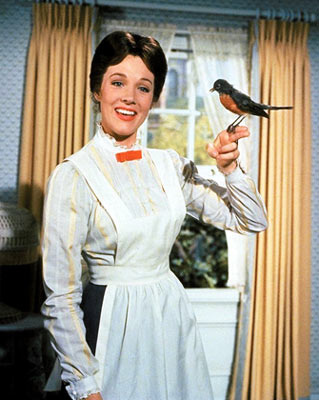 Jesus made mistakes, too.” Let’s not obsess over the false idea that Jesus was perfect in every way, like Mary Poppins. Jesus was perfect in his fidelity to his Father. What we can strive for is not letting evil take hold of our hearts, the evil that leads us to actions that clearly disobey God and are unloving. That should be our focus, not condemning ourselves for our human weaknesses. And I think that our Lord and Beloved could be “weird” while a tennager. Displaced. thank you. First time I’ve seen this… popped into my inbox today because Jorge commented – and now is th moment I most need the message in the post. Deo gratias.